The CVC and SC clearance to Asthana notwithstanding, the CBl’s latest letter to CVC says that Asthana’s conduct is still under probe. The July 12 CVC meeting, which exposed the rift between Verma and Asthana, was about granting extension of tenure to CBI joint directors A Y V Krishna and Sai Manohar. From the PNB scam involving Nirav Modi to the Vijay Mallya case, from AgustaWestland to the AirAsia case and from allegations of corruption against former Railway Minister Lalu Yadav to former Finance Minister P Chidambaram, the two premier investigating agencies of the government, the Central Bureau of Investigation and the Enforcement Directorate, are engaged in over 50 cases involving top politicians and big corporates. Most of these are at a sensitive stage given the run-up to the general elections and both agencies are locked in a squabble that threatens to undermine each one’s institutional integrity. The latest front to have opened in this battle is the war right at the top of the CBI. As reported by The Indian Express on July 23, the CBI has sent a note to the Central Vigilance Commission (CVC) that its second most senior officer Rakesh Asthana could not be allowed to represent the agency director Alok Verma in an official meeting since he was under probe. Sources have told The Indian Express that there are differences visible between CBI and ED in several cases, key among them being the AirAsia case. While the CBI registered an FIR and called Tata Trusts’ R Venkatramanan for questioning, the ED probe in the matter has hardly moved forward. The July 12 CVC meeting, which exposed the rift between Verma and Asthana, was about granting extension of tenure to CBI joint directors A Y V Krishna and Sai Manohar. Also under consideration was the extension of tenure of DIG M K Sinha and regularisation of the transfer of DIG Anish Prasad from his parent cadre to CBI. Sai Manohar was once part of the Special Investigation Team (SIT) headed by Rakesh Asthana. The SIT had key cases, including AgustaWestland deal, the INX Media case, the IRCTC hotels case and the Vijay Mallya case among others, under its probe. With deepening chill between Verma and Asthana, most of these cases have been taken away from this SIT. Prasad had been repatriated recently to his parent cadre of Tripura, along with chief probe officer of the Nirav Modi case Rajeev Singh. Prasad has been brought back to the agency. CBI: Rakesh Asthana (left) and Alok Verma. The CVC meeting was to also consider a list of over 50 officers which it had given to CBI to consider for induction. This included UP cadre IPS officer Jyoti Narayan whose case, the CBI letter to CVC said, was being pushed by Asthana. The letter said that Narayan, with some other officers to be inducted, was under probe in certain CBI cases. 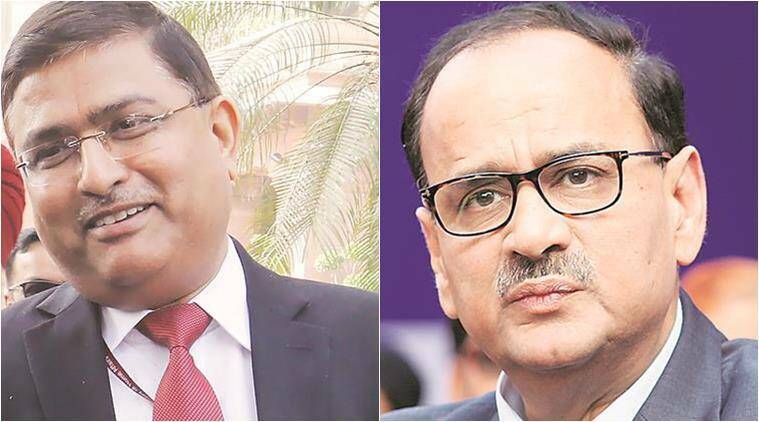 The divide can be traced back to October 2017 when it was revealed that CBI Director Verma had opposed the promotion of Asthana to the post of Special Director through a representation to the CVC. 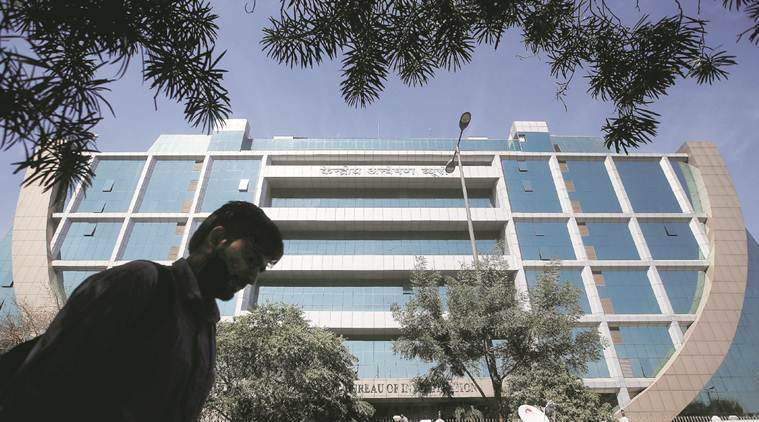 The representation alleged that during investigations of the Sterling Biotech case — in which the Gujarat-based company is accused of cheating banks of Rs 5,000 crore — evidence had surfaced of alleged irregularities by Asthana. Incidentally, the submission made by the CBI director was an unsigned confidential note which the CVC rejected on the ground that the allegations made in it were “unverifiable”. Soon, senior Supreme Court lawyer Prashant Bhushan held a press conference where he released pages from a diary seized by CBI during a raid in the case and alleged that Asthana had been paid in excess of Rs 3.8 crore by the company. Sources, however, said that Asthana had one of the company’s offices rented at his premises in Gujarat and some of the payments mentioned in the diary were actually rent paid by the company. The matter, however, was not probed further and in November last year the Supreme Court held the promotion of Asthana to the post of special director to be correct. Another reason behind the squabble, officials say, is the fact that certain recommendations made by Verma for induction of some officers into the CBI were not accepted by the government. And after Asthana’s elevation, things only turned for the worse. Once handling almost all politically sensitive and serious cases within the CBI, Asthana was slowly divested of key responsibilities but except for AgustaWestland and the Bofors case. Quarrel also broke out within the agency between other officers. A CBI cadre officer stationed in Lucknow wrote to CBI headquarters that the role of a senior CBI officer — who was later involved in the probe of the Nlrav Mod case — should be probed for interfering in a case related to the Delhi-based officer’s brother. However, the CBI opened a preliminary enquiry against the junior officer. It was alleged that to avenge his brother’s firing from a company, the officer had implicated the company in a false case. The officer challenged the PE in the Allahabad High Court but lost the case and was even fined. The officer investigating the Nirav Modi case, however, was recently repatriated to his parent cadre prematurely. While all this was going on within the CBI, a petition was filed by journalist Upendra Rai against ED joint director Rajeshwar Singh in a court that he be investigated far amassing disproportionate wealth. The petition was rejected by the court. Weeks after this, CBI booked Rai for alleged extortion and arrested him. He was allegedly found to be in possession of call data records of several people and confidential financial intelligence documents. It was alleged that he was accepting bribes an behalf of Income Tax officials to settle cases of certain companies. In months, however, another petition with almost the same allegations was filed by another journalist, Rajneesh Kapoor, against Rajeshwar Singh. The ED joint director, who has probed important cases such as the CWG and the 2G scam and is currently probing the Aircel-Maxis case, filed a contempt petition against the journalist in Supreme Court. The apex court had earlier granted Singh immunity from probes on such allegations. On June 27, however, the government intervened in the matter and gave a confidential Research and Analysis Wing (R&AW) input of a call between a suspected “ISI agent” and Rajeshwar Singh in a sealed cover. Based on this, the court allowed the government to probe allegations against him. The very same evening, BJP RS member Subramanian Swamy held a press conference and revealed the details of the R&AW input. The ED rose in defence of its officer and issued a press note where it said that the call had been only received by the officer and that it was regarding a case related to bank fraud. It said the officer had informed the agency and the matter had been taken on record. Asthana and Rajeshwar Singh declined to comment. Verma was unavailable for comment.